General Motors is offering $20,000 car vouchers to affected hourly employees at the Oshawa plant. TORONTO — General Motors dealers can expect a short-lived sales dip amid a public backlash over the automaker’s decision to close the Oshawa Assembly Plant, industry experts say. “It’s a very difficult thing for the town of Oshawa, the people at the plant and for GM,” said Michael Lewicki, of Lewicki Automotive Consulting Ltd., in Toronto, referring to GM’s Nov. 26 announcement that it had no product planned for the plant beyond 2019. The move, part of a wider global restructuring, will affect not just the 2,500 employees at the plant but many of the auto parts suppliers, restaurants and other services that relied on those jobs, Lewicki said. Lewicki said some sales were lost early after the announcement. And GM’s December sales were down 30 per cent compared with the year before, but there’s no hard evidence GM’s Oshawa decision affected monthly sales..
Lewicki said there could be a bigger impact outside of Oshawa because GM provides incentives to employees to buy vehicles through GM dealers, he said. The automaker is also offering $20,000 car vouchers to affected hourly employees at the plant. “For the most part, the Canadian consumer buys on price,” Lewicki said. Since those signs were first handed out in the first week of December, Unifor President Jerry Dias has said the union is not calling on Canadians to boycott — yet. He said the union might consider calling for a boycott of Mexico-made GM vehicles if the automaker doesn’t reverse its decision on Oshawa. 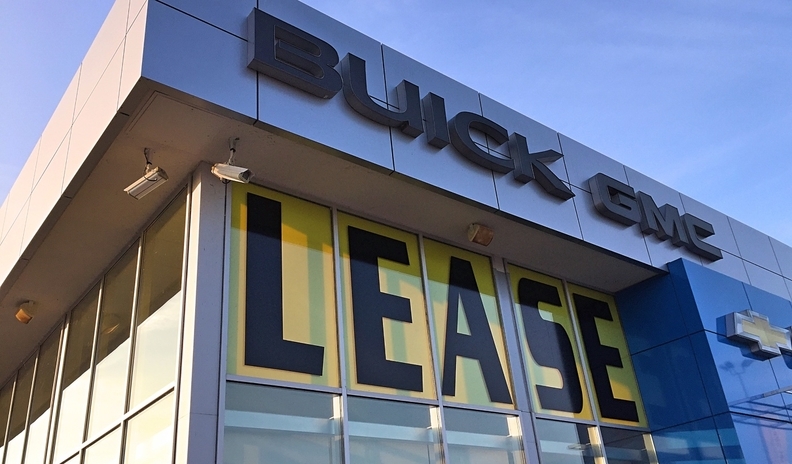 Chris Budd, principal dealer at Budds’ ChevroletCadillac-GMC in Oakville, said GM’s decision is “devastating for the workers in Oshawa,” but its impact on dealers would be minimal. GM dealers looking to sell their stores also need not worry about the controversy’s impact on their asset value, said Farid Ahmad, president of Dealer Solutions Group. “It depends on how deep and long term the problem is. For example, the VW [diesel emissions] problem had a longterm effect because nobody could see the other end of the tunnel. GM’s plan to discontinue slow-selling passenger cars should benefit dealers if it makes the company more efficient and delivers products that appeal to consumers, said Dennis DesRosiers of DesRosiers Automotive Consultants. “A car dealer in Oshawa may struggle a little bit because he sold a lot of cars to the 2,500 people who are now being laid off,” DesRosiers said. But the longer term looks brighter, he said. The Oshawa plant closure means the end of production of the Chevrolet Impala and Cadillac XTS, two vehicles that saw sales decline this year amid a general slump in demand for sedans in North America. The automaker also plans to kill the Cadillac CT6, Chevrolet Cruze and Volt. The Oshawa plant currently paints and finishes two popular pickups, the outgoing models of the Chevrolet Silverado and GMC Sierra. Within days of the announcement, GM Canada and its Durham Region dealers announced a program to retrain Oshawa assembly plant workers as service technicians at local dealerships. The move could soften the blow for up to 100 of the 2,500 workers facing job losses, offering pay of up to $100,000 a year, said GM spokesman David Paterson. GM says it and local government and business organizations have identified 5,000 jobs in the region that could be available to laid off autoworkers. retraining program, saying unless GM keeps the plant open, sales at local dealerships are going to suffer. The retraining program is part of a broader community initiative, with the Durham Region Chamber of Commerce, Durham College, the Ontario Ministry of Skills Development, and local employers, to identify opportunities for the assembly plant workers, Paterson said. “We have a highly skilled workforce. Some are very, very well suited immediately to other things,” he said. About half the workers at the plant are eligible for full pension, which means as many as 1,300 may opt to retire, Paterson added. The union is fighting to keep the plant open, calling on the federal, Ontario and U.S. governments to pressure GM to reverse its decision. Oshawa is one of five assembly and powertrain plants — the others are in the United States — that would have no product mandates beyond the end of 2019, GM said. The company will also cut 15 per cent of its 54,000-member global salaried workforce. The restructuring is aimed at cutting US$6 billion in costs as GM focuses on new electrified and self-driving vehicles.